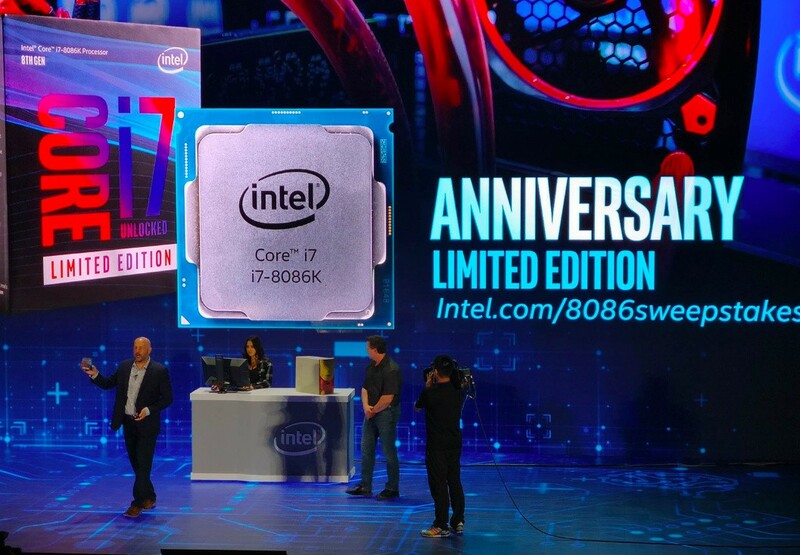 Intel Announces The Limited Edition 5GHz Core i7-8086K Anniversary CPU: 40 years after releasing its historic 8086 processors, the one that got the x86 architecture started, Intel today announced a unique limited edition anniversary processor is called the Core i7-8086K. This new 8th-gen Core chip maxes out at a dizzying 5GHz turbo frequency, with a default 4GHz clock speed out of the box. Intel is releasing the new Core i7 part on June 8th, the exact anniversary of the 8086’s release. Being a K-series processor, the Core i7-8086K also has its multiplier unlocked and is ready for overclocking to even more extreme speeds, that should make you feel the need. To maximize hype around this release, Intel is going to be giving away 8,086 Core i7-8086K chips, though the company has not yet disclosed a price if you want to buy the one. So, these are the points to describe on the Intel announces the limited edition 5GHz Core i7-8086K anniversary CPU. On the going through of the Article, please suggest your viewpoints.